Orca are apex predators. With their advanced cognisance and culturally diverse populations, they predate on a variety of fish, bird and other mammal species. Their prey ranges from comparatively small mackerel and herring, to whales almost twice their size. If orca even take on great white sharks for breakfast, what then is one of the most concerning killers of killer whales? The anthropogenic threat – Humans. Orca have had frightful, sometimes fatal encounters with humans. They have been targeted by the captive display industry, struck by boat propellers, entangled in discarded fishing gear, and found with significant quantities of plastic in their stomachs. Some populations are even struggling to find food as a result of human interference with the natural environment. But it’s the effect that persistent organic pollutants (POPs) have on orca that is perhaps the most harrowing concern: POPs, particularly polychlorinated biphenyls (PCBs), are threatening orca populations worldwide. What are POPs and PCBs? POPs are chemical compounds that are resistant to degradation. The persistence of these chemicals was deemed a threat to human health, as well as the environment, and their production has now been curtailed. PCBs are a type of POP. They are lipophilic, meaning that they collect in the body’s fat reserves. As a result, PCBs pose a health threat to mammals with large fat stores – like the blubber-coated orca. There were very few regulations surrounding the production and disposal of these pollutants when they were first introduced. During production, chemicals are released into the atmosphere and can be transported over long distances. A significant proportion of waste material has ended up in landfills, which has resulted in chemicals leaking slowly into rivers and oceans. Research has shown that there are high accumulations of pollutants in areas far from where they were produced, especially in Arctic regions. The implication of this long-range transport does not bode well for orca; studies have found populations around countries with a relatively low output of POP production, such as Norway, are contaminated, rendering this a much wider global issue. How do chemical contaminants affect orca? Upon entering the marine environment, POPs, including PCBs, are absorbed by plankton and other creatures existing at the bottom of the food chain. Species that eat these creatures will become contaminated and so on it goes, up through the food chain, until eventually, larger marine predators at the top end of the food chain have accrued the largest concentrations of toxic chemicals. This process is known as bioaccumulation, which is a build-up of substances in a living organism. Bioaccumulation occurs when the organism, in this case an orca, absorbs the substance at a higher rate than it can eject it from its body. Once PCB contaminants have entered an orca’s body, they are stored in fatty tissues (lipids). The pollutants primarily target the immune and endocrine systems, which are responsible for bodily functions like fighting disease and healing, metabolism, as well as growth and reproduction. Strong links have been found between chemical contamination, survival rates in orca populations and declining reproduction, making this one of the largest threats to the species’ endurance. The contaminants become especially dangerous should the orca experience a shortage of food. The body will start to metabolise the lipid-rich blubber, releasing the harmful chemicals stored there into the bloodstream. A recent study on orca of the North East Pacific Ocean has highlighted the adverse physiological effects that pollutants can have. The study found that the pollutants can cause severe mutations in several critical life processes that shape an orca’s growth, reproductive capabilities and development. Although current research does not yet include all known orca ecotypes or populations, it is likely that the effects from pollutants will affect all of them in a similar manner. But even when orca are otherwise healthy, PCB contaminants continue to have adverse effects. PCBs are also stored in the fatty milk of nursing mothers. This means that pollutants are passed to already vulnerable new-born calves. Studies on cetacean (whale, dolphin and porpoise) species have revealed that a female may offload up to 90% of her body’s burden of PCBs to her first calf, significantly reducing her overall PCB concentration with each successive pregnancy. When very high concentrations of PCBs have been documented in reproductive-age females, this might suggest that there has been no chemical offload to calves. This could be indicative of reproductive failure – either in the female, or in her population’s males. Male orca cannot offload contaminants to calves like females can as they have no fatty milk to pass on. Holding onto these high levels of chemicals throughout their lifetime may be the cause of reduced fecundity and lifespan in males. According to Dr. Paul Jepson, a European Veterinary Specialist in Wildlife Health Population at the Zoological Society of London, and member of the Cetacean Strandings Investigation Programme (CSIP) team, “Killer whales are the most heavily PCB-contaminated mammalian species on Earth.” They have such high levels of contaminants in their bodies that they are sometimes treated as hazardous waste when they strand and die, or are washed dead ashore. In Europe, some orca have recently been found to have 857 parts per million (ppm) of PCBs stored in their fatty tissue. To put this into perspective, the US Food and Drug Administration recommends no more than two ppm of PCB contamination for human consumption. Although a direct comparison cannot be drawn between humans and orca, these astonishingly high levels are known to be having devastating consequences for these large marine mammals. Research has indicated that marine mammals with PCB levels greater than nine ppm are likely to suffer noticeable disruption to their bodies basic biological processes; this can be seriously damaging. Where did PCB contaminants come from? The commercial production of PCB contaminants started around the 1920s. They were used extensively for a wide range of industrial applications as they are resistant to acids and bases, as well as to heat. Although their toxicity was recognised early on, it wasn’t until the 1960s that the negative impacts to the marine environment were realised. Generally, PCBs are not very soluble in water, despite being readily soluble in fat, (which explains why they can build up in animal fat, and to significant levels in animals higher up the food chain). The production of PCBs was first banned in the US and Canada in 1979, and was outlawed throughout Europe by the late ‘80s. Over a decade later, in 2004, the Stockholm Convention on Persistent Organic Pollutants was implemented, with 180 member states pledging to eliminate the production of certain POPs. If the burden of contaminants does not start to decline, we could suffer a catastrophic loss of entire orca communities. Which populations of orca are known to be at high risk? Orca populations across the globe are exposed to different levels of contaminants, depending on their location and food preferences. Although available research is limited, it is known that the orca found in the North Atlantic, Pacific Northwest, Alaska and New Zealand are suffering adverse effects of contamination. 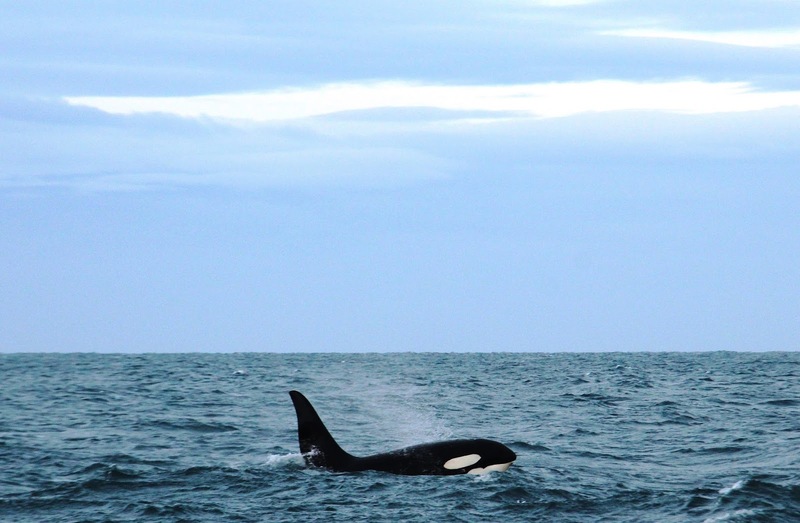 A 2007 study on Norwegian orca indicated an average of 25ppm of PCBs in the animals’ fatty tissues. This significantly exceeds the concentrations found in the Norwegian population’s prey, suggesting that orca have a high capacity to metabolise these contaminants – this is certainly detrimental to their health. The latest research, carried out by Jepson and the team from CSIP, has collected data from cetacean strandings that occurred between 1994 and 2012. This included samples from 24 orca in the UK, Canary Islands and the Strait of Gibraltar. And the results don’t look good. Orca in European waters were found to have alarmingly high levels of PCB contamination. The average concentration across males and females ranged from 107–243ppm. The data suggests that male orca of the Canary Islands and the Strait of Gibraltar have higher PCB burdens than females, which is consistent with reports of new-born calves in these populations, (suggesting that females have been able to offload some of their PCB burden in their milk). The same cannot be said for the West Coast Community (WCC) orca found in waters off the UK coast. Much like the AT1 transient orca population found in Alaska (see below), the WCC is a small population that has not been sighted with any new calves for over two decades. There are thought to be as few as eight orca left within this group. In the CSIP study, the WCC females were recorded with the highest levels of PCBs (243ppm) out of all the orca tested, including their male counterparts. Additional information has since been collected from another WCC female who died and was found ashore in January of this year. This recent analysis should provide more clues about the levels of chemical contamination not only in this population, but also throughout the North Atlantic Ocean. For the WCC population, however, it is too late. The UK’s only “resident” orca are already on the path to extinction. There are three distinct orca ecotypes in the Pacific Northwest: The resident fish eaters (made up of two communities), the transient marine mammal eaters and the offshore population, which feeds on fish, probably including sharks. Data collected from the resident and transient ecotypes in 2011 revealed huge differences in their PCB burden. On average, the resident population revealed contamination of 3.2ppm, while the transient pollutant levels were a huge 81.1ppm. This is in line with the bioaccumulation of toxins through the food chain; mammal-eating species are at significantly greater risk from contaminants. 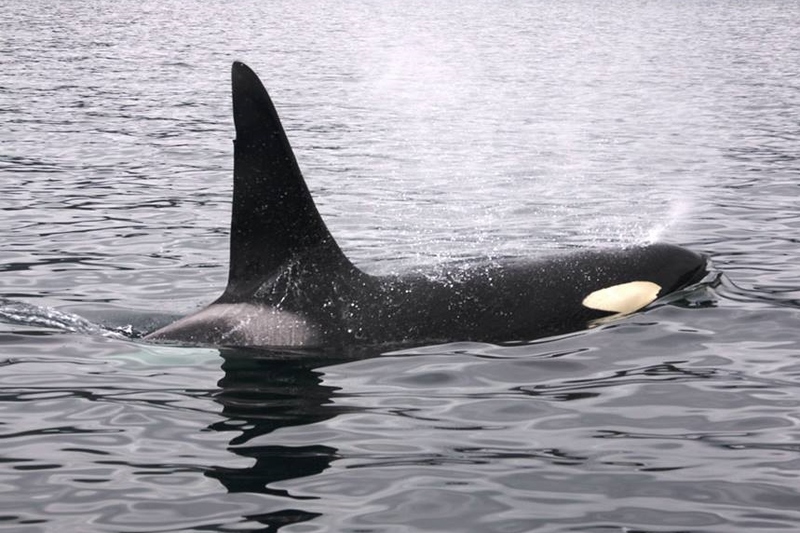 Although the transients appear to be more contaminated than the resident orca, threats to the salmon populations that form the most substantial part of the resident diet is of growing concern. If these orca can’t eat enough salmon, they will start to metabolise their fat stores in lieu of metabolising food for energy, and this will release the harmful PCBs into their bloodstream. The third ecotype in this region, the offshores, is less well studied. Although no research into offshore contaminant levels has been carried out to date, it is possible that this population is at lower risk of chemical contamination due to their prey preference and their offshore range, meaning they predate on organisms lower down the food chain and typically inhabit waters further from land. Resident, transient and offshore ecotypes are also found in Alaskan waters, with some areas having some of the highest orca densities that can be found anywhere in the world. Two populations in particular, however, are seemingly in unrecoverable shape. 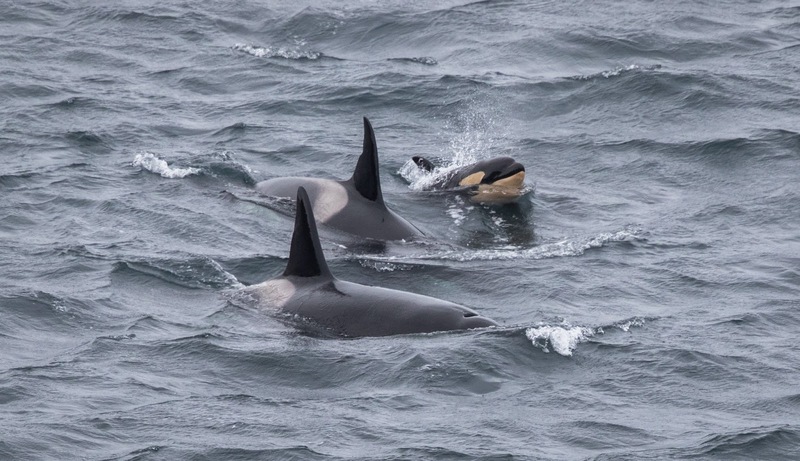 The AB resident orca are comprised of around only 22 individuals and the AT1 transients (also known as the Chugach transients) consist of a mere seven. These populations seem to be in a similar position to the UK’s WCC – but what has brought these tiny Alaskan groups to the brink of extinction? Chemical contamination. The Exxon Valdez oil spill occurred in the Prince William Sound in 1989, when the Exxon Valdez supertanker smashed into a reef. This catastrophic event resulted in the deaths of both resident and transient Alaskan orca. The AB resident population lost 14 out of 36 individuals and still hasn’t recovered. And of the 22 AT1 individuals, nine were initially lost, followed by a further six. The AT1 transients have not reproduced since the spill, which means it’s not a matter of if this pod will die out, but when. In New Zealand, pollutants settle in industrial harbours and are ingested by molluscs, which are in turn eaten by bottom-feeding stingrays. Rays are thought to make up as much as 80% of the New Zealand orca population’s diet, which may explain the high levels of PCB contaminants found in blubber samples taken from two deceased individuals. PCB residue in the New Zealand marine environment isn’t the only chemical threat for these orca. 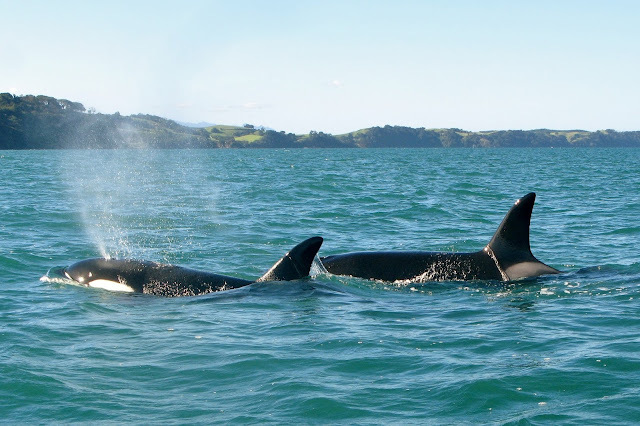 Modern flame retardant chemicals, typically polybrominated diphenyl ethers (PBDEs), are also an increasing concern for the New Zealand orca. PDSEs are similar in chemical structure to PCBs and exhibit the same resistance to degradation. However, they are not regulated or restricted. How does the future look for orca when there are contaminants in the water? The outlook for some orca populations is fairly bleak, with 97% of historical PCB use having occurred in the Northern Hemisphere and marine ecosystems being the ultimate sink for chemical deposition. Trends would suggest that in the US, PCB concentrations are continuing to decline (albeit only slightly), creating a small sliver of hope for the orca of the Pacific Northwest. Possible causes for this include the outlaw of PCB production ten years earlier than in Europe and the comparatively larger US landmass, the latter of which might have resulted in fewer contaminants reaching rivers and ultimately, the ocean. As well as Europe’s smaller landmass and more recent ban, there are also considerably more industrial sites located in coastal regions across the continent, with shorter distances between landfills and bodies of water. Following an initial decline in contamination since the ban in the late 1980s, PCB levels in Europe now appear to have stopped declining, which is no good thing as the figures at which the contaminants have stabilised are worryingly high. As is already recognised in New Zealand, PBDEs may also present another major concern facing all orca and marine mammals. Not all PBDEs are outlawed by the Stockholm Convention and as is the case with PCBs, their production and disposal is not properly regulated. Scientists are already putting pressure on governments to introduce a ban. What hope is there to shift the tide on ocean contamination? Not all is lost. Research into the effects of contaminants is still considered to be in its nascent stage, and for effective conservation strategies, further studies are needed on the effects of pollutants. Although production of PCBs has been banned for over 30 years, there are still around 1.1 million tons of contaminated materials to dispose of in Europe alone. It is also thought that contaminants are still leaking out of old, poorly sealed landfill sites into rivers and oceans. Stephen Marsh, Operations Manager for British Divers Marine Life Rescue (BDMLR), explained that there are also other ways PCBs are being redistributed as a result of human action, “The current fashion for pile driving to build offshore windfarms, dredging of sand and gravel banks and the ‘reclamation’ of coastal areas, may stir up the sediments that have acted as inert stores of these compounds, releasing them back into marine habitats”. These freshly churned contaminants are then consumed, and the cycle of bio-accumulation begins again. Comprehensive regulations are an integral step in ensuring that these issues progress no further, and to this end, there are plans to feed the latest PCB data to policymakers in the European Union, such as OSPAR and the European Commission. There is also the need to push for countries outside of Europe to fully implement the Stockholm Convention. This is not only to better protect national waters, but to also limit the circulation effects too. The ‘global distillation’ of POPs to Arctic regions is cause for concern, with research showing1 that PCB concentrations in juvenile Arctic orca are stabilised or increasing; a threat that cannot go ignored and must be deterred. The continued good work of CSIP and other organisations contributing to the data collection effort, such as BDMLR, will help to provide an improved understanding of this grave situation, with the aim of finding policy-based and other effective solutions. We have recently seen with captive orca welfare how public pressure can create waves for orca and other marine mammals suffering in captivity, and still being captured for the captive industry. You can raise your voice about this issue too! Share information about how chemical pollutants are impacting orca and our oceans with others. Social media is one great tool and you can also write polite letters to your local politicians, expressing your concern and asking them to take action. Reduce the amount of disposable plastics (food wrapping, straws, plastic bottles, etc.) that you use on a daily basis; buy scrubs and toothpastes free from harmful ‘microbeads’ that are ingested by marine life; and take your own bag to the supermarket. There are even many handy hints and ‘recipes’ for home-made shampoos, conditioners, soaps and more, which help to dramatically reduce an individual’s plastic and other contaminant consumption. Proper recycling and responsible disposal of electrical waste also plays a huge part in conserving marine environments. If in doubt about how to recycle properly, contact your local government or visit its website for guidelines. The more people that start to make a conscious effort, the bigger the impact will be. As with most issues in conservation, the protection of the orca species is not simply down to one factor. Eliminating PCBs and other contaminants alone would not guarantee the survival of every population. There are other conservation threats at play – and for some populations, it really is too late. But for those that still have a chance, if we act today, we will see them tomorrow.